Staying away from your family, friends, and loved ones is tough that makes you miss them quite often. Send your dear ones gorgeous miss you flowers to convey how much their absence pinches your heart. Our ravishing range of miss you flowers will help convey your emotions in the most beautiful manner. "The way to add overseas contact number while ordering." "It would be nice if we could add flowers along with gifts like cushions etc." "Please include more options. Why don't you accept payments from International credit cards?" "Good Job. Keep it up..!!" "love usooooooooooooooo fernspetals thanks for make my day good"
"Thank you. Keep up the good work. 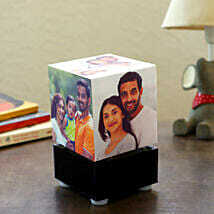 Would like to see more options in Personalized Gifts section." "Really nice service and quality of flowers really good"